Tracey is using Smore newsletters to spread the word online. ...my true love gave to me six geese a laying, five gold rings, four calling birds, three french hens, two turtle doves and a partridge in a pear tree. 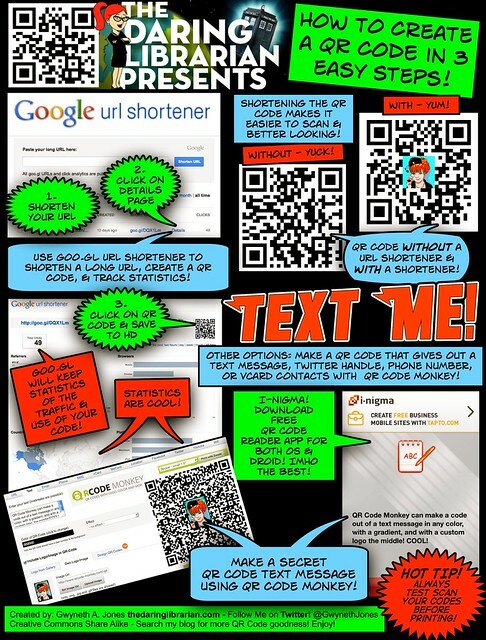 ...technology gave to me six ideas for using QR Codes in the classroom. Add QR codes to worksheets or center games that allow students to check their answers. Put a QR code outside your classroom that links to your website or contact information. Use a page of QR codes for students to use for frequently visited websites. Go on a QR Code scavenger hunt. 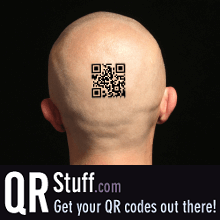 Instead of leaving clues put the clues in a QR code. Post in the classroom with a question of the day or week. Read reviews, get customer ratings, see screenshots, and learn more about i-nigma QR Code, Data Matrix and 1D barcode reader on the App Store. Download i-nigma QR Code, Data Matrix and 1D barcode reader and enjoy it on your iPhone, iPad, and iPod touch. Free QR code generator and QR code online creator. Create QR codes ready to download and print. Create a mobile phone or tablet readable 2D barcode QR code for a website URL, YouTube video, Google Maps location, FaceBook link, vCard contact information or any one of 22 QR code types. UPDATED! I had to update my popular comic How to Create a QR Code in 3 Easy Steps because I have new fav ways to make them using Goo.gl and QR Code Monkey!! Enjoy! Read the blog post: www.thedaringlibrarian.com/2011/10/how-to-create-qr-code-... Creative Commons - Take, Use, Share!